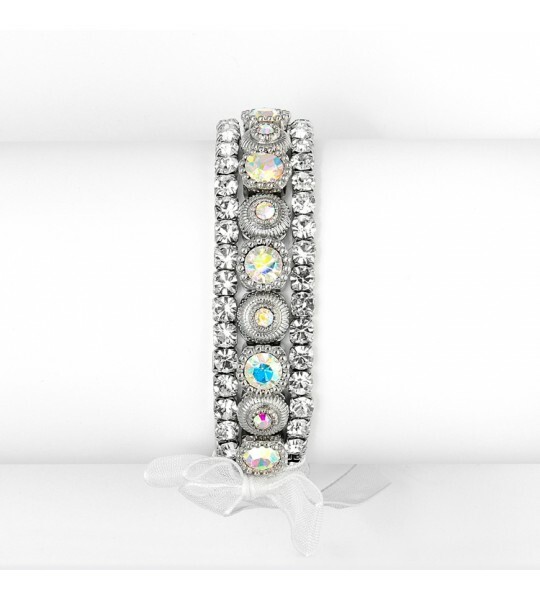 This gorgeous and elegant vintage inspired 3/4'' w bracelet with AB crystals and 2 lovely rows of crystal rhinestones is the perfect accessory for any bride. 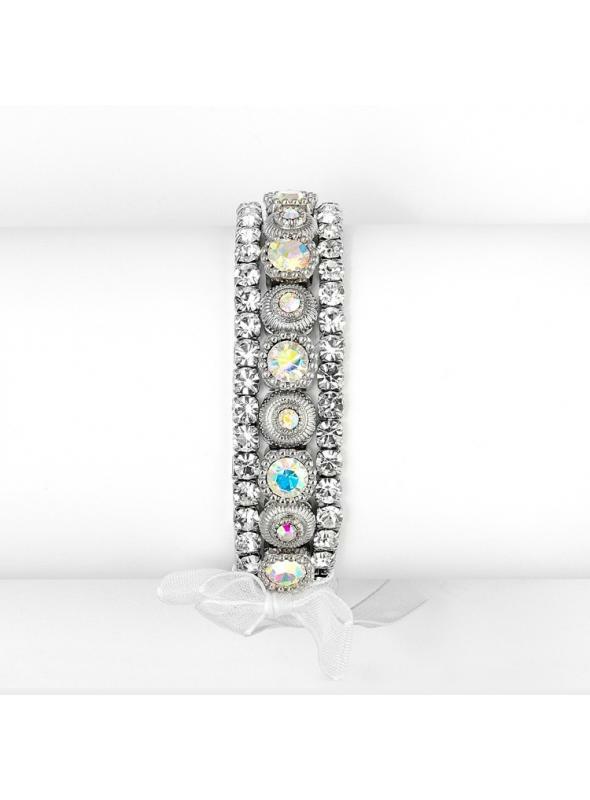 This gorgeous and elegant vintage inspired 3/4'' w bracelet with AB crystals and 2 lovely rows of crystal rhinestones makes it the perfect accessory for your special night. 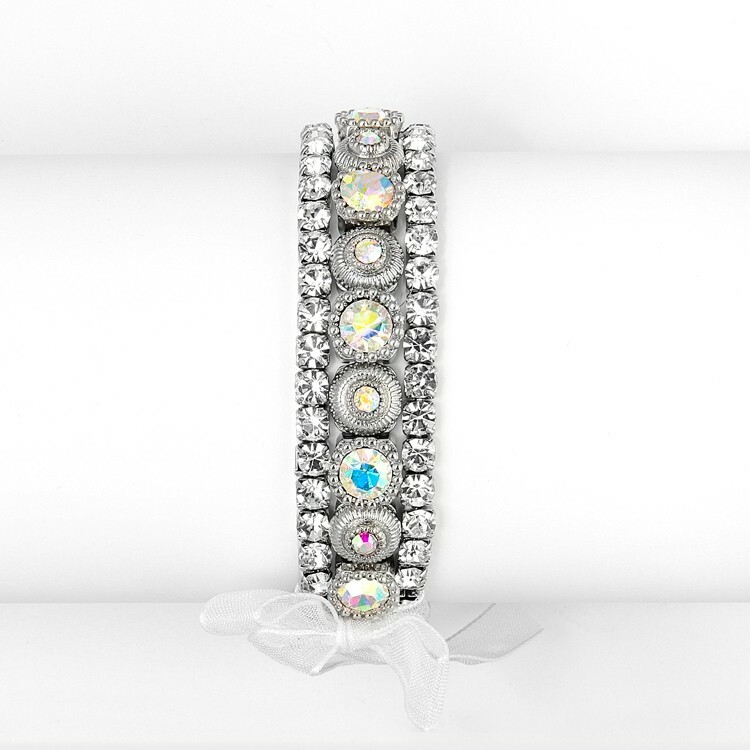 A gorgeous and glamorous Romantic bracelet featuring 3 rows of crystals with a bold center row of bezel set iridescent AB crystals and 2 rows of crystal clear rhinestones. 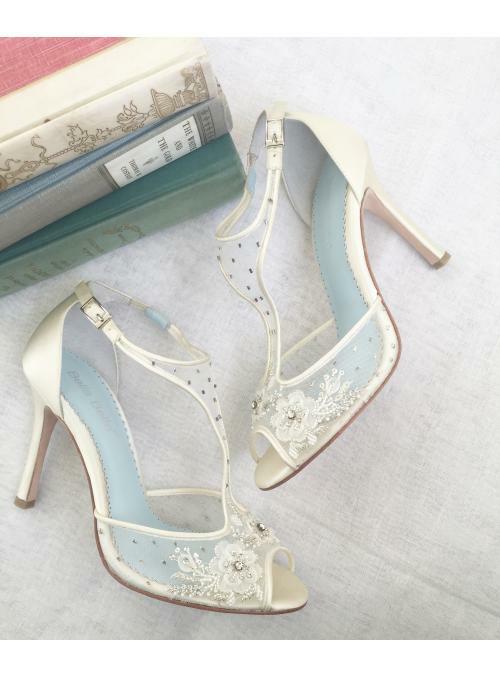 This gorgeous bracelet can be worn as a 1, 2 or 3 rows bracelet by any bride or second time around bride as the perfect accessory for your beautiful gown.